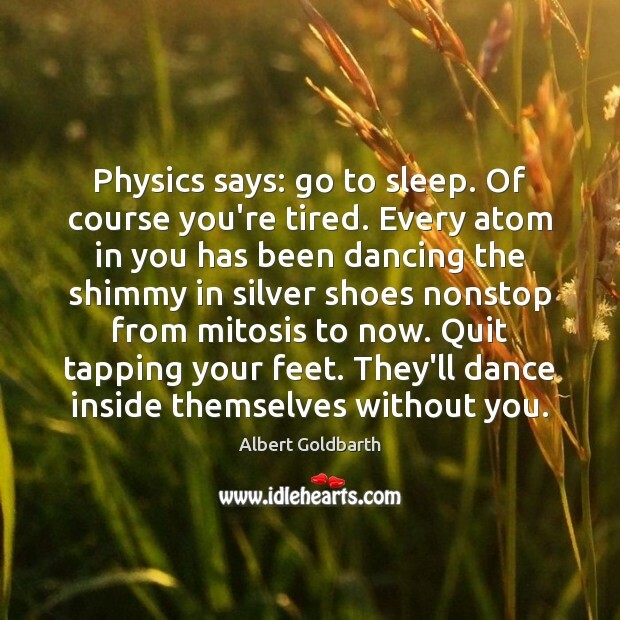 Enjoy the best inspirational, motivational, positive, funny and famous quotes by Albert Goldbarth. Use words and picture quotations to push forward and inspire you keep going in life! I hope any poem I've ever written could stand on its own and not need to be a part of biography, critical theory or cultural studies. I don't want to give a poetry reading and have to provide the story behind the poem in order for it to make sense to an audience. 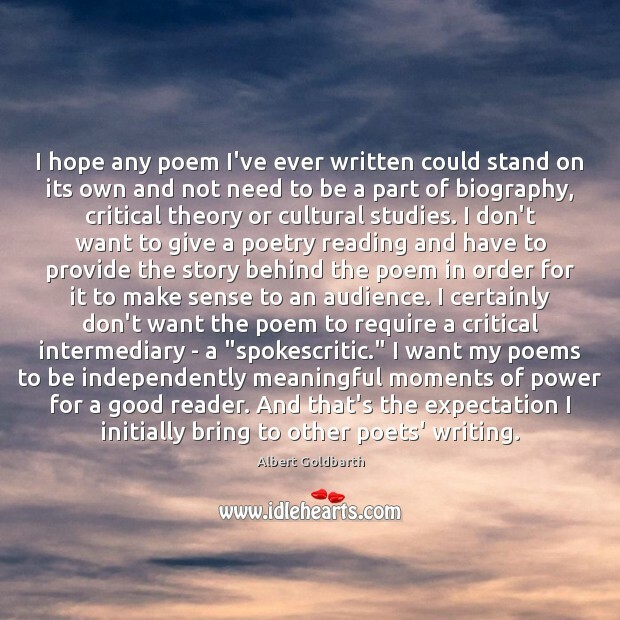 I certainly don't want the poem to require a critical intermediary - a "spokescritic." 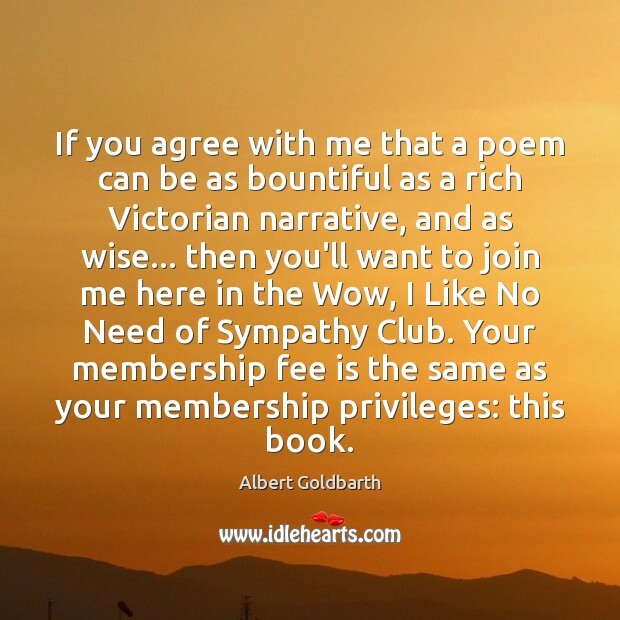 I want my poems to be independently meaningful moments of power for a good reader. And that's the expectation I initially bring to other poets' writing. 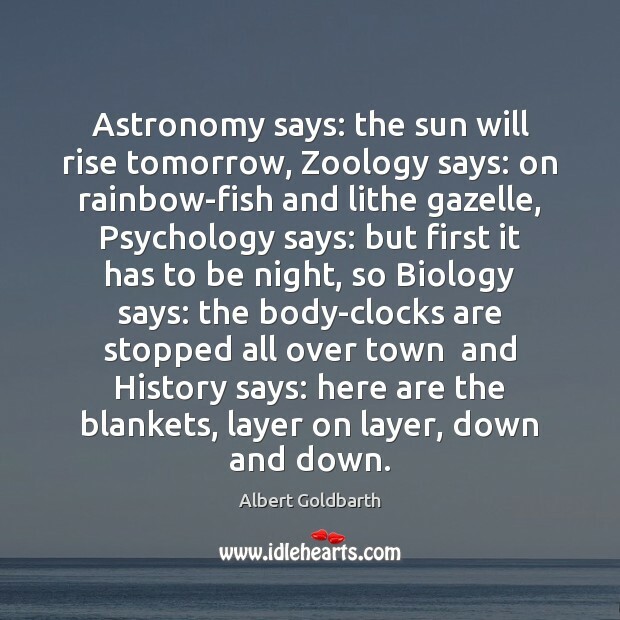 Astronomy says: the sun will rise tomorrow, Zoology says: on rainbow-fish and lithe gazelle, Psychology says: but first it has to be night, so Biology says: the body-clocks are stopped all over town and History says: here are the blankets, layer on layer, down and down. Perhaps you have seen me. 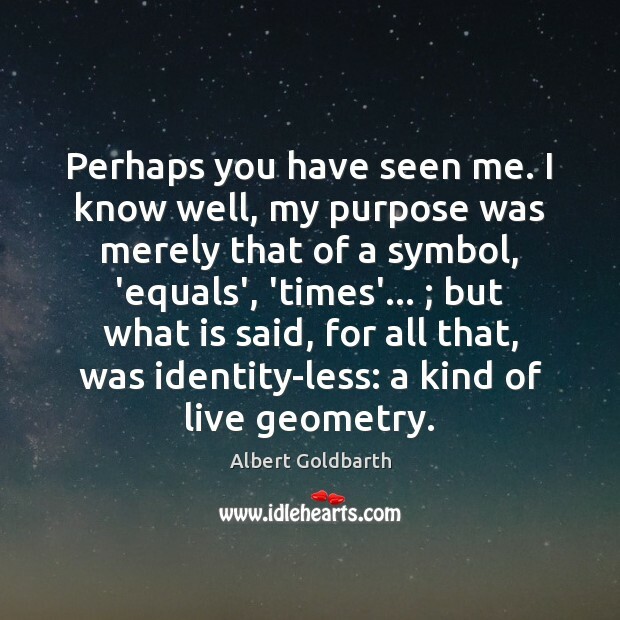 I know well, my purpose was merely that of a symbol, 'equals', 'times'... ; but what is said, for all that, was identity-less: a kind of live geometry. I don't spend time thinking about an aesthetic out of which I create or an ideal toward which my body of work is heading. 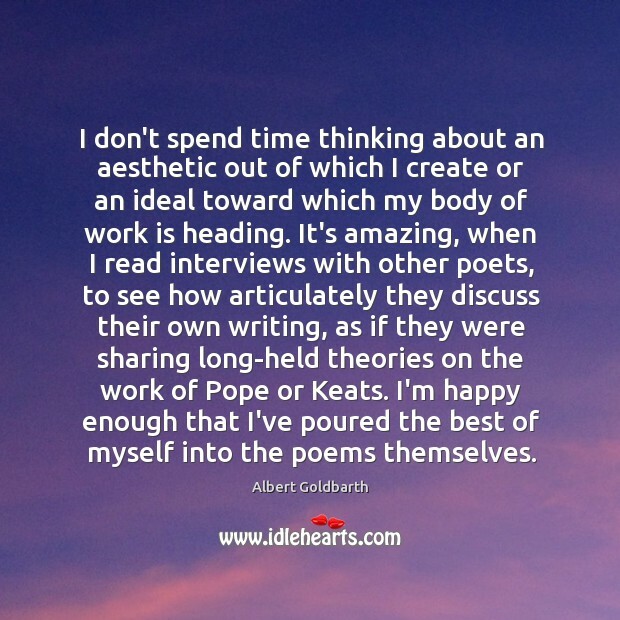 It's amazing, when I read interviews with other poets, to see how articulately they discuss their own writing, as if they were sharing long-held theories on the work of Pope or Keats. I'm happy enough that I've poured the best of myself into the poems themselves.